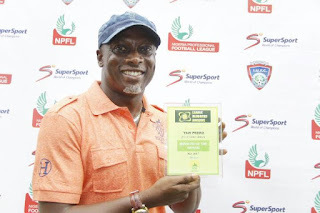 FC IfeanyiUbah head coach, Yaw Preko, with his May LBA Manager Of The Month Award. 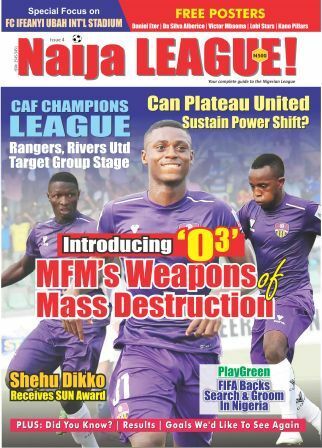 and Chukwuma Agbo of Enugu Rangers. while Gata provided a treble of assists for ABS. of two wins and three draws. will be announced next week by the LBA.